With winter fast approaching it’s time to get your head thinking about all that sparkles for the glitteriest season of all. You don’t have to spend a fortune to make your house look festive. 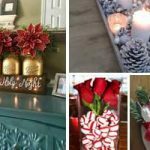 These Dollar Store Christmas Decorations can be made at a fraction of the cost you would purchase them in designer stores. 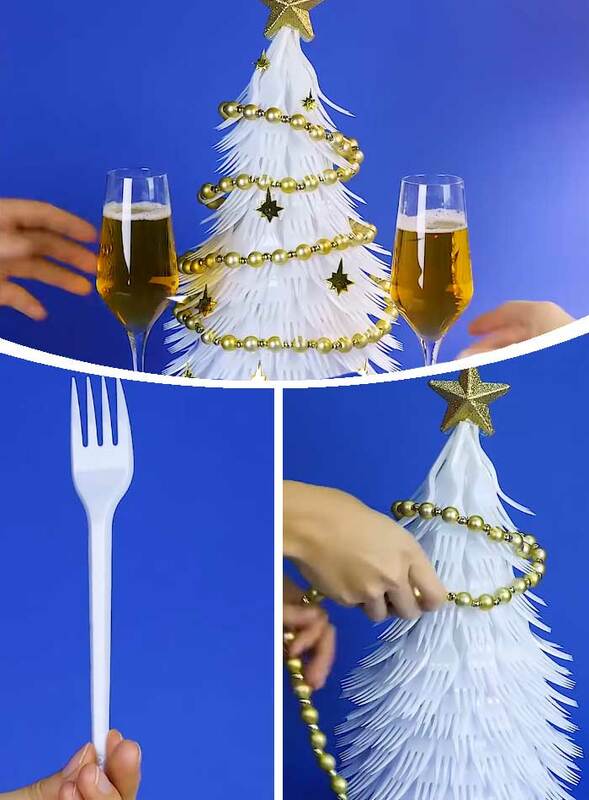 All you need to make this is some plastic forks , card stock and glue. Make the card into a cone and cut some length off the forks. Begin to glue around the cone, and then decorate woth pearl string and stars. 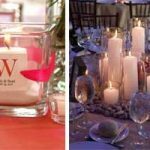 It also makes a great litle centerpiece for winter weddings. This simple technique to water marble your ornament involves using a dish of water and adding several drops of different colored nail polishes. 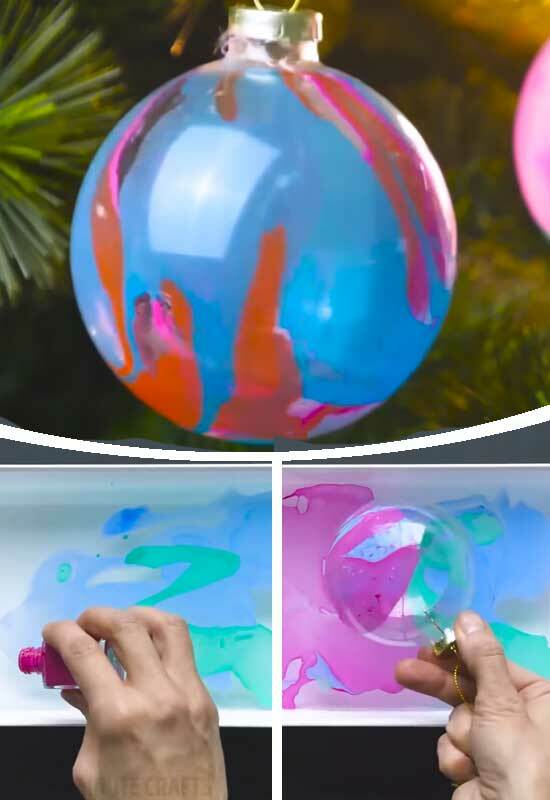 Swirl it around and dip your clear bauble in for a really neat effect. 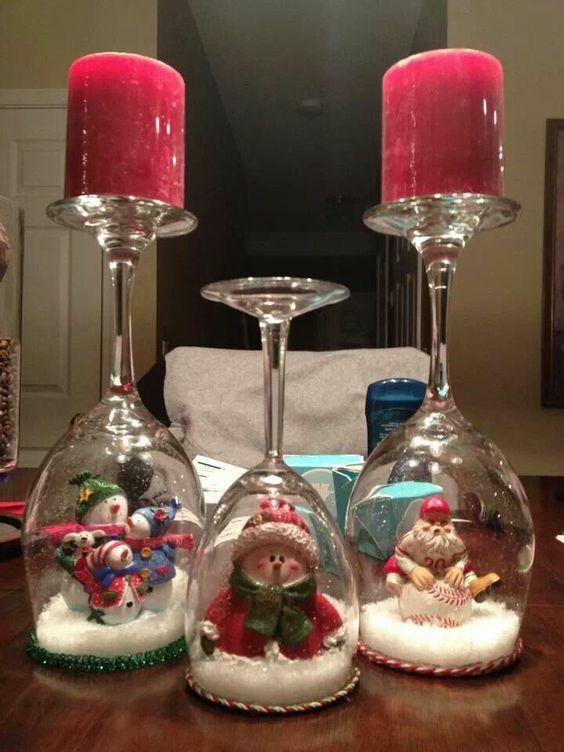 For a different way to present your candles this year , flip some wine glasses upside down and place festive figurines such as snowmen on fake snow inside. Pop your candles on top and watch as guests face delight. 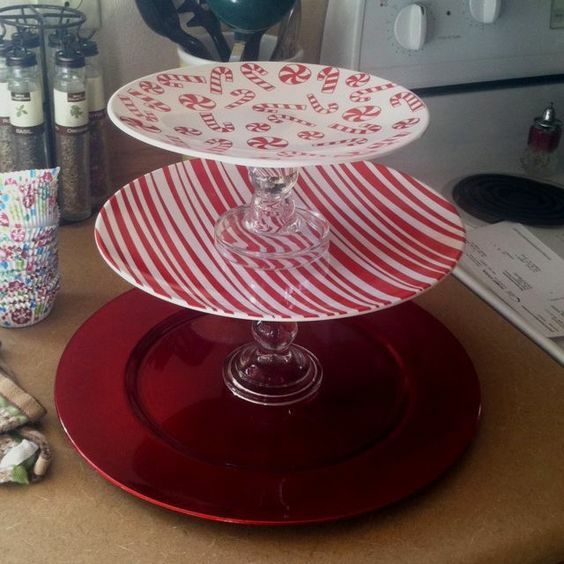 For a festive dessert tray – you’ll need three plates and two candle holders which can all be purchased from the dollar store. Hot glue them together and you will have this lovely piece that could also be given as a gift with some nice cookies for example. Turn dollar store fishbowls into the most adorable Christmas decoration. 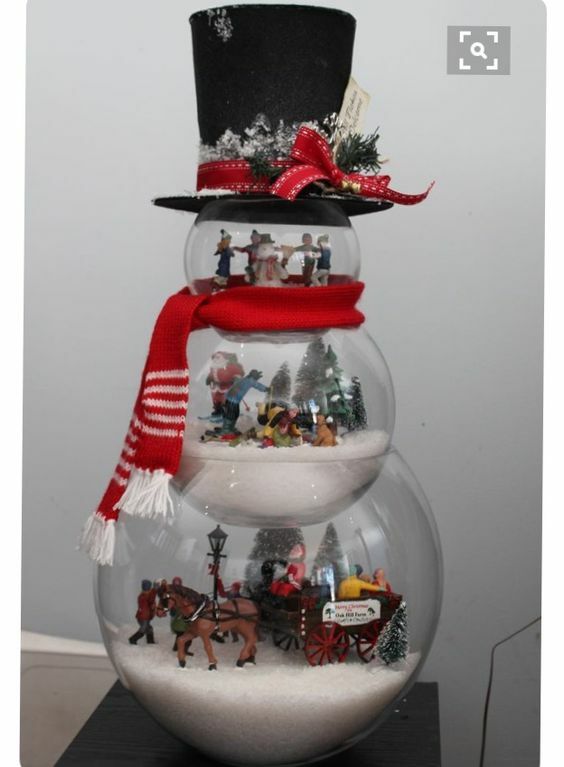 You’ll need 3 different sized stackable fish bowls a bag of fake snow and festive figurines. It really couldn’t be easier to make. 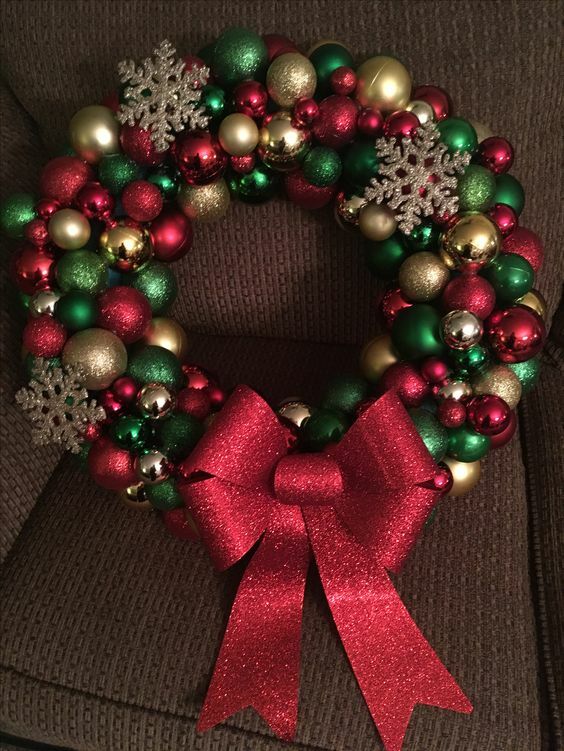 For a couple of dollars you can make this adorable wreath. 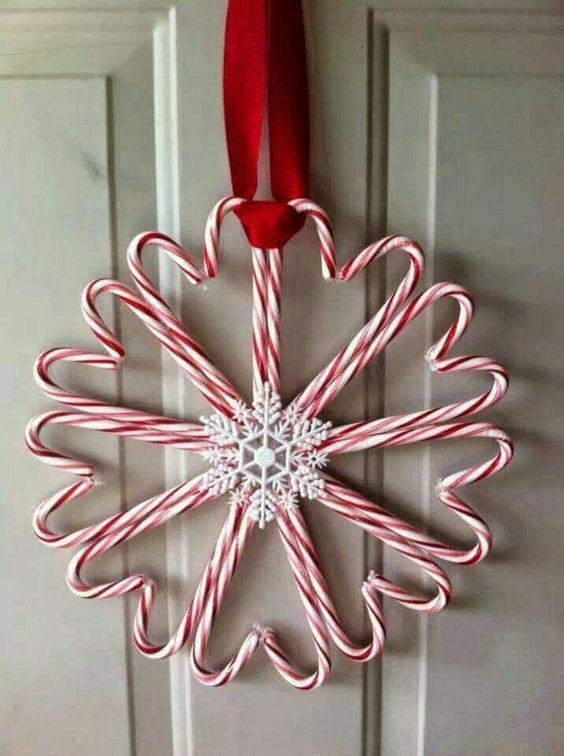 Start by gluing two candy canes together at the top and bottom, using hot glue. Repeat until you have 9 hearts and finish by gluing a snowflake ornament in the center. Use some red ribbon to hang it. 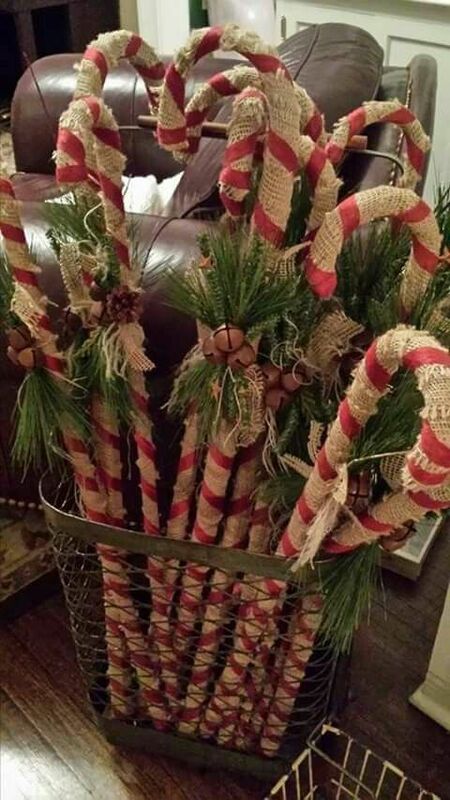 Wrap the dollar store plastic candy canes in burlap and embellish with bells, pine cones and greenery. 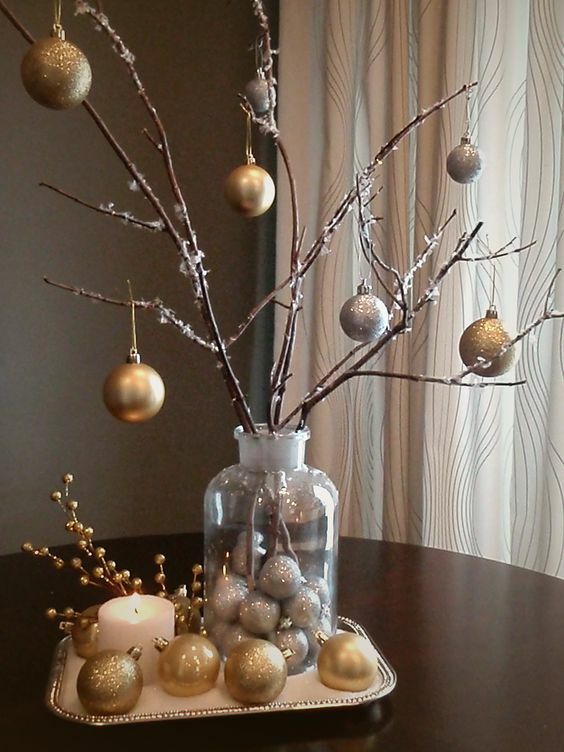 Collect some branches from your backyard and wrap with some gold or silver thread. Arrange in a jar of baubles and then gently hang some baubles on each of the branches. This will look beautiful set on a tray of baubles and a candle. 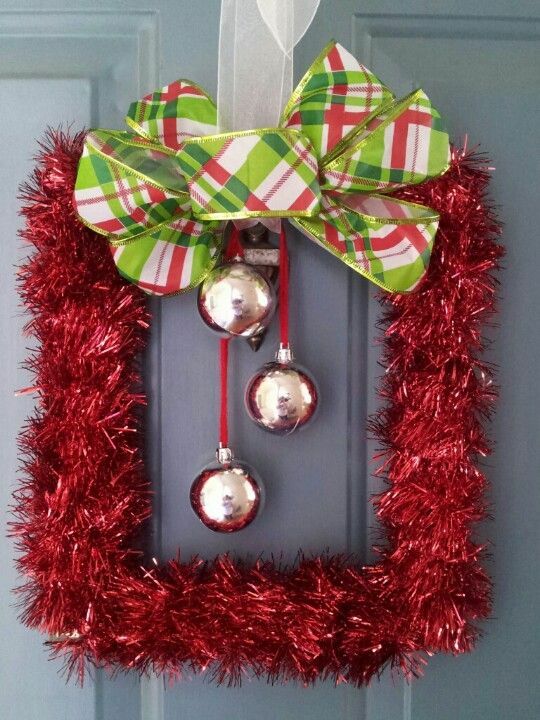 You can make this awesome wreath with a dollar store frame, garland ribbon and Christmas bulbs. 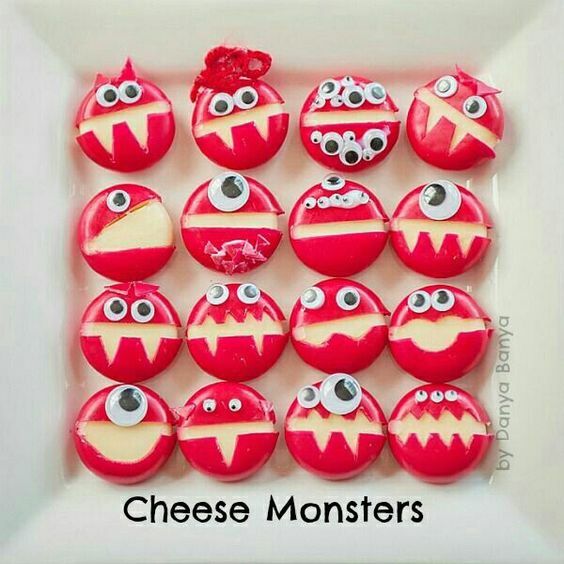 This is a fun little craft to do with the kids. 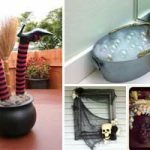 You’ll need deco mesh, pipe cleaners, ribbon & a plastic bulb. 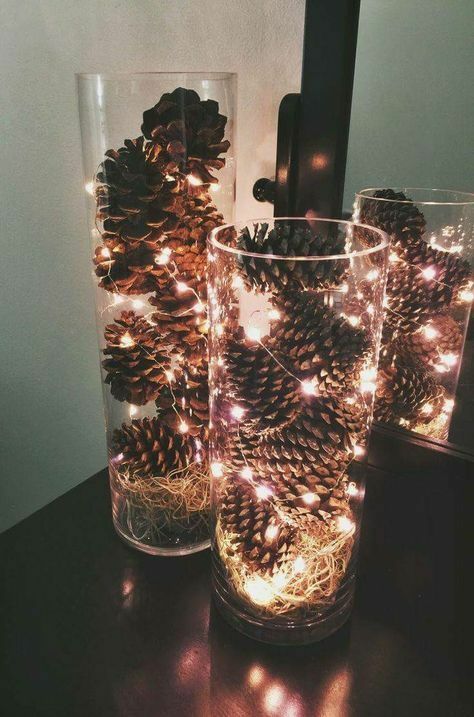 Fill dollar store vases with pine cones and add fairy lights. These baubles will look stunning on your coffee table. 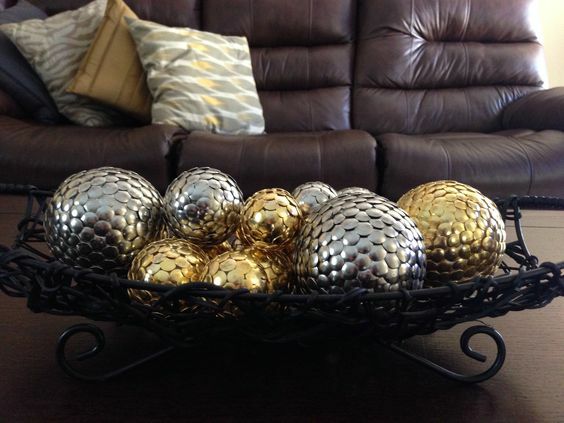 Purchase some decor-push pins and Styrofoam balls to recreate this idea. Make your door look super festive with this colorful wreath. 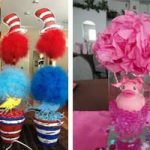 Use a pool noodle and ornaments from the dollar store. 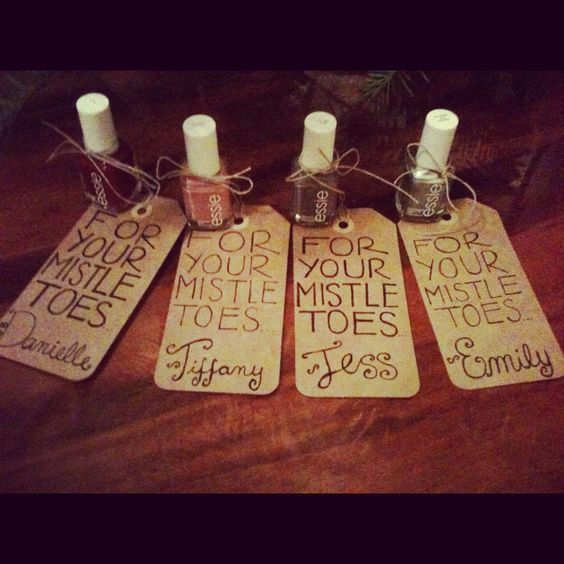 Purchase several wine glasses and baubles as well as present bows, little fake presents, and a plate to recreate this. 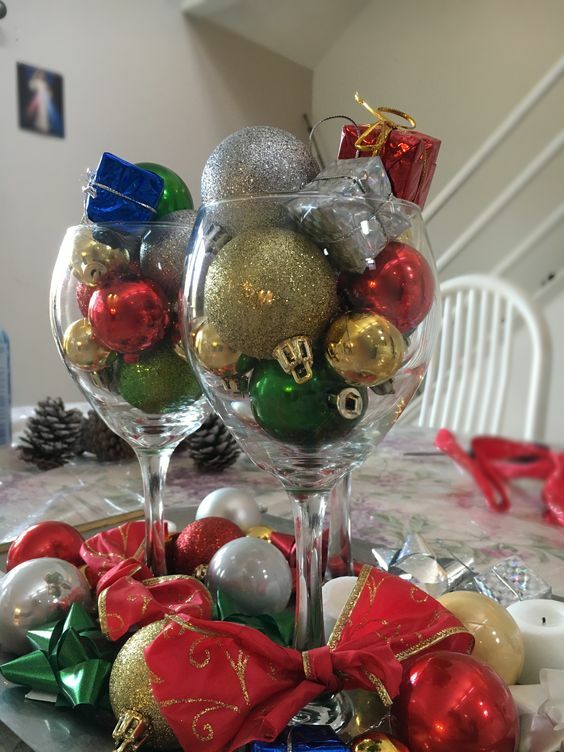 Fill the glasses with the balls and fake presents, and display what is leftover on the plate. 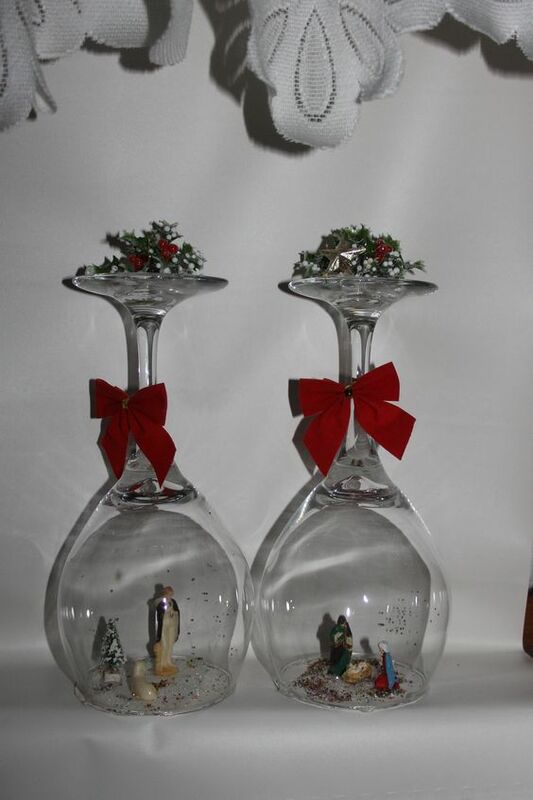 Turn two dollar store wine glasses upside down and make little scenes out of figurines such as a nativity set. 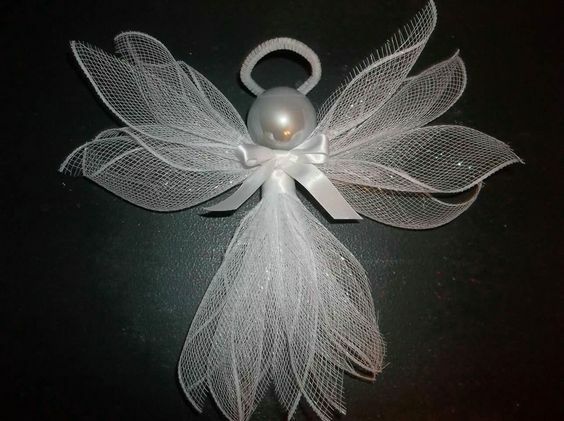 Place a little bow near the top and you have a beautiful little decoration for your table.